Describing what Mercury Rev sound like is a tricky business. This is probably exactly how the band like it, but it's a pain in the arse for us hacks. The indie veterans from Buffalo, New York create a unique kind of psychedelic, ethereal, dreamlike spacerock which has writers reaching for the thesaurus and sounding like they're describing a fairy picnic on a rocket ride to Jupiter. Quite. Mandala-like forms or not, Snowflake Midnight is a remarkable and moving piece of work, and another distinct departure from a band with a history of defying expectation. Originally a kind of shambling art-rock noise-jazz indie fusion meltdown of a band, the Rev produced three albums of experimental noise in the early 90s, but their reputation for excess, both musically and physically, seemed to rule out any kind of commercial success. Then, in 1998, they emerged as if from a cocoon with Deserter's Songs, a sumptuous and dreamy collection of leftfield pop-flecked rock which grabbed the mainstream with both hands. Two increasingly dense orchestral rock records followed, but Snowflake Midnight sees the band once more reinventing themselves, embracing electronic and beat-orientated musical influences to create a soundtrack for the trippiest film in your head. Grasshopper is one of only two remaining original members, alongside singer Jonathan Donahue, but the line-up is fairly stable these days, with longtime drummer and keyboardist Jeff Mercel still onboard, and über-producer Dave Fridmann on bass and co-production duties. That stability has clearly made for a productive music-making environment, because, alongside Snowflake Midnight, the band are giving away a second album, Strange Attractor, free to anyone who signs up to their mailing list. Mercury Rev's recent change in direction can be traced to two recent projects. The band were asked by their record company to put together a retrospective of their work, the double CD Essential Mercury Rev: Stillness Breathes 1991-2006. They've never been the most nostalgic of guys, preferring to look forwards than backwards, and Grasshopper admits that that process led to a desire to do something musically different. On top of that, two years ago the band released Hello Blackbird, the soundtrack to Bye Bye Blackbird, a Hollywood movie about circus life in the early 20th century. That experience has clearly fed into the overall feel of the two new albums, both of which have an organic continuous quality lacking in conventional rock records. Grasshopper admits to being as much influenced by art and writing as he is by other music, citing the surrealism movement and the cut-and-paste work of William Burroughs as two things which he and Donahue find inspirational. He also finds himself going back to his early musical influences for inspiration these days. While Mercury Rev find themselves these days in the unlikely position of being indie veterans, the band are not quite in the pipe and slippers brigade yet. Grasshopper admits to being as excited by TV on the Radio and Boards of Canada as he is by his old Dylan and Miles Davis records. Indeed it does, into one undescribable but brilliant band. 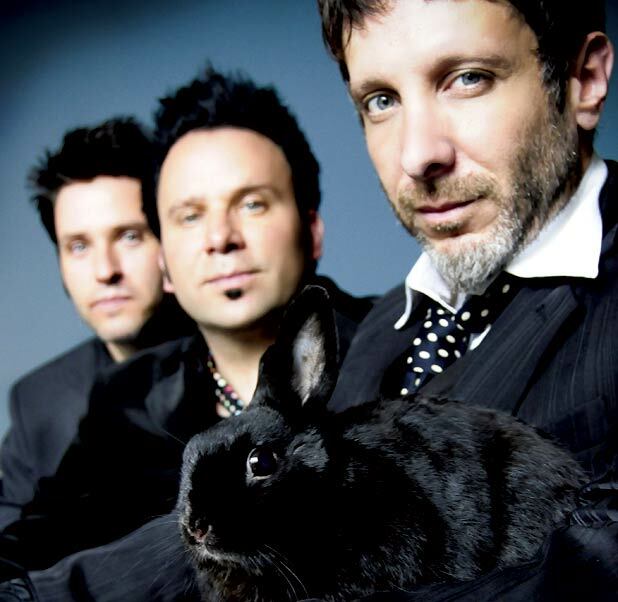 Mercury Rev headline the Guitars and Other Machines Stage, Fri.